The Heroin Substance Test allows you to accurately identify drugs and drug residue on any surface quickly and easily. 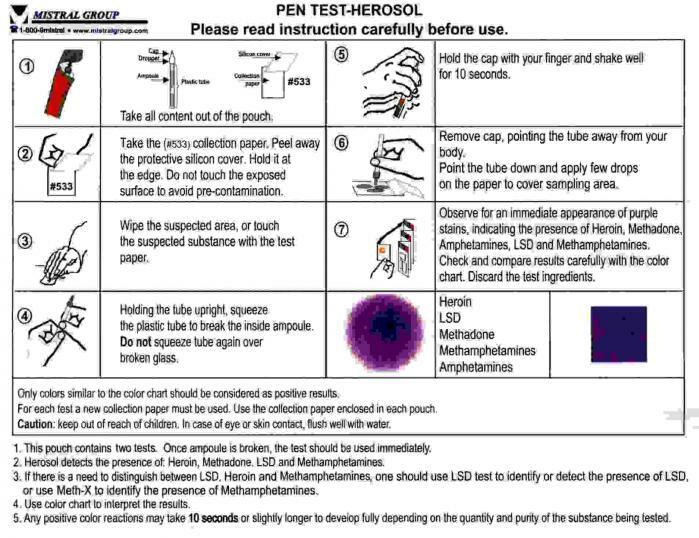 The Herosol Pen Test detects the presence of heroin, methadone, LSD, Methamphetamines or Amphetamines in any substance or even a residue left on a surface. 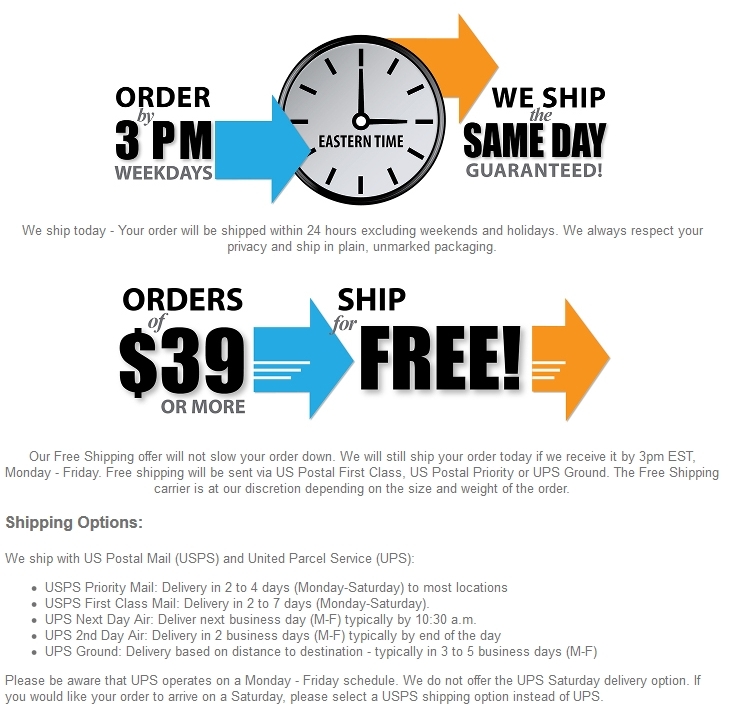 A Substance Test allows you to instantly identify suspicious substances in the privacy of your own home. This test will show positive if the substance you are testing contains Heroin, Methadone, LSD, Methamphetamines or Amphetamines. If there is a need to distinguish between LSD, Heroin and Methamphetamines, one should use the LSD test to identify or detect the presence of LSD or use the Meth-X to identify the presence of Methamphetamines. Please note: The Heroin Substance Test - Herosol is a substance identification test that identifies drugs and drug residue on any surface - not a urinary drug test.